Tigers (Panthera tigris) are among the most threatened mammals in the world. As a result of prey depletion, habitat fragmentation and poaching, the global tiger population has dramatically declined from 100,000 tigers a century ago to fewer than 3,500 tigers today. This rapid decline has resulted in their listing on the IUCN Red List of Threatened Species as endangered. Dwindling numbers and change in habitat pose a significant threat to these animals and could potentially lead to extinction. 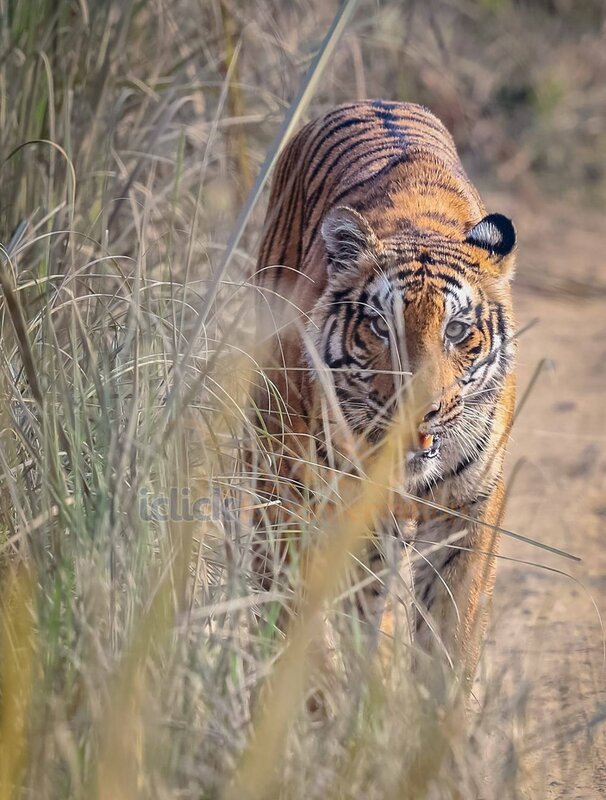 The decline and loss of tigers has a cascading impact on the ecosystems in which tigers reside and conversely, tigers serve as one indicator of a healthy ecosystem. Project Conservation is working hard to understand the relationship between tigers and people, and support ongoing ecological studies to help bring the tiger back from the brink of extinction. By studying landscapes tigers live in, addressing human-wildlife conflict, listening to what the people want and need, and working to build support for tiger recovery programs we are working to help support tiger conservation, mitigate human-tiger conflict and raise awareness globally to bring financial support to these communities. At approximately noon on Saturday April 25th, 2015 Nepal experienced a 7.8 magnitude earthquake killing over 8,000 people, injuring more than 19,000 and leaving several million homeless. This earthquake was the largest natural disaster Nepal has experienced since 1934. As a result of Nepal’s geography many places experienced second hand consequences such as, avalanches and landslides. Due to the remoteness of many villages and the economic state of Nepal many areas that were largely affected have seen little or no help. Project Conservation and National Trust for Nature Conservation partnered to focuse on one village, Majhuwa. We raised over $10,000 thanks to our amazing donors. This small village of approximately 200 people were provided with emergency relief items such as food and temporary shelters, tin for roofs and materials to help rebuild bathrooms and their school. As the idea of Project Conservation developed in Nepal we feel very closely connected to this country, especially Bishnu, Harkaman and Tirtha who are from Majhuwa and still have family living there. These three are truly some of the most selfless people we have met and have been great colleagues and have taught us a lot about conservation in Nepal. In Southern Nepal, many people are victims to human-wildlife conflict, and as a result many kids are orphaned. Wildlife Technician, and our good friend Bishnu Lama and his wife, Ama and son Binod run an orphanage for children who have lost their parents to human-wildlife conflict, or have succumb to other misfortunes in life. Project Conservation has provided funds to help with the cost of clothing, school uniforms, supplies, food and other day-to-day necessities. 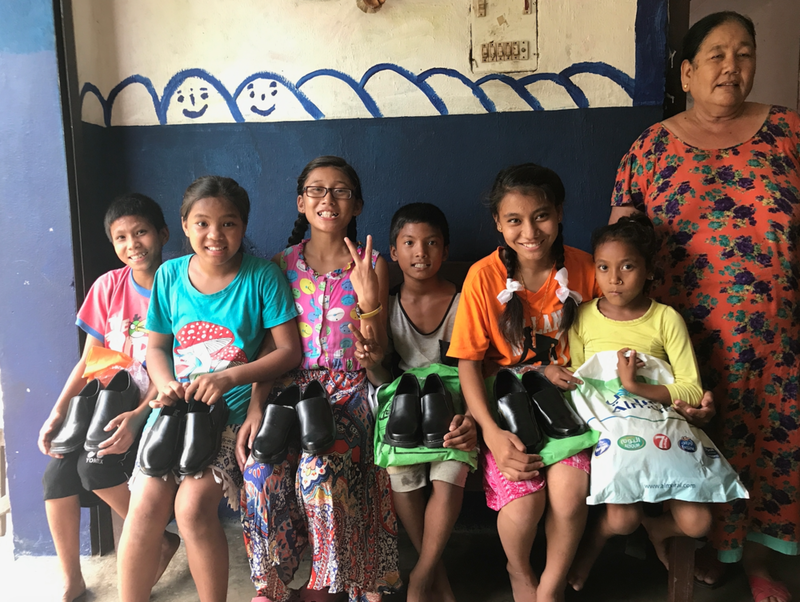 Pictured above are some of the children receiving new shoes and uniforms for school.